CLOSE TO 600 residents in an apartment complex in south Dublin could face up to a €30 million bill to bring their apartments up to fire safety code. 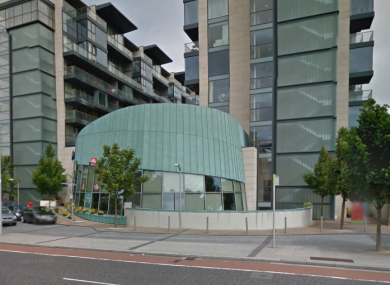 Residents of Beacon South Quarter in Sandyford have been informed that they may be faced with a huge bill in order to bring their building up to regulation. Local Fine Gael TD Josepha Madigan said residents are due to be presented with a bill at an AGM on 6 February. Madigan said residents were now facing “astronomical charges to rectify structural issues” in their homes. She said that apartment owners could be charged “up to €30 million” for the works. Madigan said the complex does not satisfy planning requirements for providing sufficient water ingress and fire safety structures in its original construction. The Beacon South Quarter development launched with much fanfare in 2005 at the height of the Celtic Tiger boom. It has faced a myriad a problems and delays since then, with construction only being completed in 2014. “We must arrive at a solution that does not unfairly penalise residents for the poor planning of others,” Madigan said. These have included Priory Hall in north Dublin and Longboat Quay in Dublin’s docklands. “A deal similar to those struck in similar instances for residents… should now be considered in order to protect the apartment owners at Beacon South Quarter,” said Madigan. Email “Apartment owners could face 'up to €30 million' bill to bring complex up to regulations”. Feedback on “Apartment owners could face 'up to €30 million' bill to bring complex up to regulations”.